This museum is designed to help visitors gain a better knowledge and understanding of nature. It contains an exhibition area describing the different ecosystems which exist in this beautiful coastal town. These include: the mouth of the River Urola, the Bedua island and wetlands, the Santiago dunes and the San Miguel oak grove. Special attention is paid to the impressive tidal plain located between Zumaia and Deba (soon to be declared a protected biotope) and Zumaia’s surprising cliffs, which are internationally regarded as a geological jewel. The centre has two floors. On the ground floor there is an auditorium for screening short films and multimedia documents or for holding conferences, a documentation room and a series of classrooms for holding school workshops. The first floor houses a large exhibition area. Algorri also offers guided tours of both the visitors’ centre itself and the natural areas it focuses on. Interested parties can reserve a tour in advance, and can even arrange for it to be adapted to their specific demands and interests. For groups with a prior reservation, the centre's opening hours are flexible. Groups + 15 people, retired visitors, under 18s and residents of Zumaia: €1.50/person. Children under 6, free entrance. A cultura space created by the Basque painter Ignacio Zuloaga to work and exhibit the works of art he himself painted and collectioned during his lifetime. 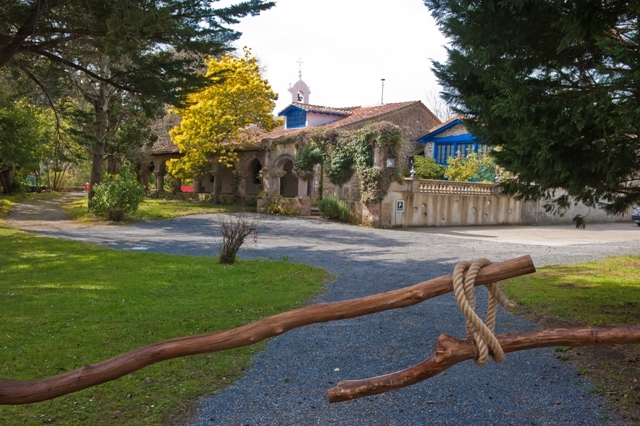 You can visit also the Santiago hermitage, on the Coastal route of the "Camino del Norte", the historical collection and the painter's studio-workshop. Available all over the year for groups (+ 12 pax) with pre-arranged visit. Studio and collection of the sculptor from Zumaia, Julio Beobide. The museum is not open to the general public. 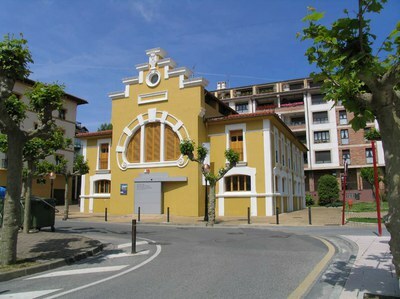 Recently reformed, the sales room, which is of great ethnographic interest and unique in the Basque Country, is now open to the public. Throughout the year, the Guild Hall is open to groups with a prior reservation (657 794677). For more detailed information, contact the Tourist Information Centre. The Parish Church of San Pedro stands on a small hill that overlooks the mouth of the River Urola. The building looks more like a fort than a church, and it is likely that it indeed served as one during times of crisis and danger. The building has two clearly defined sections: one vertical one, formed by a tower with an almost square floor plan, which rises 34 metres above the ground, and one horizontal one, the body of the church itself, whose regular buttresses are the only elements which serve to lighten somewhat the general sobriety of the construction. From Monday to Saturday: 18:00-19:00. More information at the tourist office (Tel. : 943143396).